Back pain and neck pain sufferers searching for long-lasting pain relief will find what they seek here at Kennedy Chiropractic. Dr. Kennedy tirelessly researches innovative ways to approach pain relief, anti-aging and optimal health. All of our Chiropractic treatments for back pain and neck pain, whiplash, sciatica, headaches and migraines are natural, drug-free, non-invasive, and effective. From classic chiropractic spinal adjustments and acupuncture to cold laser therapy, spondylogenic reflex therapy, pulsed magnetic fields and more, Dr. Kennedy's skill has helped thousands of patients overcome pain. Chiropractic care relieves back pain, neck pain, sciatica, headaches, personal injury and car accident injury pain because it gets to the root cause of the pain. When the spine is out of alignment, either due to years of poor posture, bad ergonomic habits, or a sudden accident, the vertebrae inevitably pinch the nerves that keep the body's systems functioning normally. So it is critical to realign the spine to relieve the pain and help the nervous system function properly. 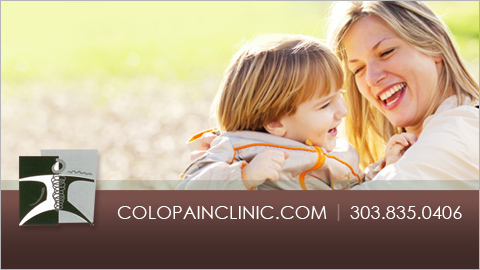 With years of experience treating patients here in Boulder, Longmont, Niwot, Westminster and Lafayette, Dr. Kennedy can carefully diagnose where the problem is, and then readjust the spine, relieving the pain. Once the nerves can work unimpeded, the whole body works better. This improved nervous system function also slows down the aging process because it enables the body to ward off the cellular damage from free radicals and harsh elements in the environment. Dr. Kennedy also provides nutritional and exercise counseling, as well as pulsed magnetic field treatments from our MagnaPro machine that help people optimize their body's self-healing, self-rejuvenation mechanisms. Pulsed magnetic fields actually stimulate sick and dying cells to regenerate themselves into anti-aging mode. Helping the body heal itself is also the primary goal behind spinal decompression, acupuncture, Percutaneous Electrical Nerve Stimulation (PENS) and cold laser therapy, all of which help people with lower back pain, neck pain, whiplash and other injuries. Spinal decompression liberates pinched nerves, suctions herniated and bulging discs into shape, and draws nutrients and oxygen in to spur internal healing. Targeted cold laser therapy brings similar benefits by aiming a low-level laser deep into injured tissues, boosting cell regeneration and relieving pain. We have had great success treating carpal tunnel, arthritis and many injuries this way. Acupuncture and PENS stimulate recovery by balancing the body's energy flow. Spondylogenic Reflex therapy is another innovative modality Dr. Kennedy uses to diagnose and treat pain in the back and neck. Recognizing that muscle tensions in the lower back can actually cause pain akin to whiplash in the neck, Dr. Kennedy uses Spondylogenic reflex therapy to diagnose and treat pain problems that may originate in areas other than the part of the body that hurts. PENS stands for Percutaneous Electrical Nerve Stimulation. It is a form of electrical stimulation through the skin via needles (usually acupuncture needles). The electrical current is able to travel more easily through the body once it is beneath the skin, so less is needed and we are able to put it more exactly where it will do the most good. "Magnetic energy is that elemental energy which all life in an organism depends." Pulsed magnetic fields improve energy balance to raise the potential energy of the sick and dying cells. This is done by sitting or lying on a pad that is essentially a magnetic field; the pad is connected to a machine called a Magnopro. It is a very safe and effective way to wake up your cells and promote wellness. The pulsed magnetic fields are good for a number of illnesses and diseases and can also help with stress prevention. Carpal Tunnel: Carpal tunnel syndrome occurs when the median nerve becomes pressed or squeezed at the wrist. Symptoms can range from mild but frequent burning, tingling, or itching numbness in the palm of the hand, thumb, index and middle fingers to decreased grip strength, wasting of the thumb muscle and inability to tell between hot and cold by touch. This often leads people to consider surgical options, yet success rates range from 50-70% effectiveness, there can be residual problems like numbness, pain, stiffness or weakness and recovery may take several weeks to as long as a few months before you have unrestricted use of your hand and wrist. 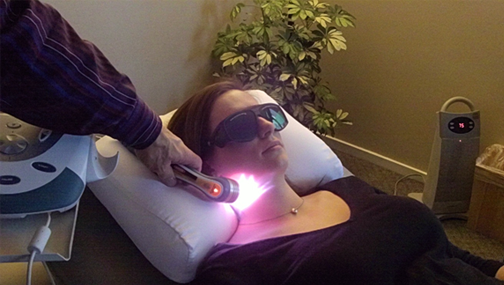 Laser Therapy has repeatedly been shown in dozens of studies to be 60-80% effective as a stand alone treatment. Dr. Kennedy's specialization in repetitive stress injuries has allowed him to develop a comprehensive system for evaluation and treatment that boasts a near perfect success rate. By combining deep tissue laser therapy, specialized soft tissue techniques, nutrition and chiropractic care he is able to identify and treat often overlooked components of CTS. Most patients will experience a great degree of relief by the 6th visit, though this will depend primarily on the severity of condition and the length of time the condition has been present. Complete resolution of symptoms can usually be expected within 15-20 visits. Generally, the more chronic or severe the condition, the longer it takes to respond but this does not mean excellent results can not still be achieved. Tendinitis: Tendinitis is inflammation of the fibrous cord (tendon) that attaches a muscle to a bone. The most common cause of this inflammation is what is referred to as repetitive stress (or strain) injury. By frequently overusing a muscle through a repetitive motion, such as occurs while playing tennis or using a computer keyboard for hours at a time, a tendon becomes inflamed. Where there is inflammation, there is usually pain. If the site of irritation has no chance to rest and recover, and the inflammation continues, then fibrin and other inflammatory "debris" will accumulate. This, along with a decrease in blood vessel activity will lead to fibrosis and the formation of scar tissue. A spur is a calcification that forms where a tendon attaches to a bone. This is the final stage of a chronic tendinitis condition. Laser Therapy is the most effective treatment for tendonitis because it stimulates the regeneration of tissue at the cellular level (such as collagen). It also stimulates and re-establishes blood flow to an acute or chronic injury site. This helps carry accumulated inflammatory "debris" away from the injury site and healing nutrients in to the site. In the case where there's a spur formation, even though the spur remains, the cold laser can effectively treat the site and remove the associated inflammation and thus, the pain, often permanently. Arthritis: There are several forms of arthritis, but the most common is "wear and tear" or "degenerative" arthritis. This is simply a wearing down of any joint from injuries, repetitive stress/strain, or from chronic structural imbalances (bad posture, etc.). Just as in the case of tendonitis, laser therapy has proven to be an extremely effective treatment for arthritis because of its ability to stimulate the regeneration of cartilage and to heal inflamed tissue. Even though an x-ray may still show severe degeneration laser therapy still provides pain relief and improved mobility. Sports injuries: For acute sprains and strains such as those common in sports injuries, nothing works as well or as fast as Laser Therapy. Whether it's tendon, ligament, or muscle trauma, Laser Therapy - used as soon as possible following the injury - can go to work by stimulating the healing response at the cellular level. This healing photon of light energy interrupts the inflammatory process and accelerates the regeneration of the damaged tissue allowing you to get back to your favorite activities sooner. Dr. Kennedy is passionate about providing cutting-edge, holistic health care for everyone. Call us today at 303-817-0965 to learn more about our services and how we can help!